Paytm Offer: Get Rs 100 Cashback When you Pay At McDonald, Paytm has come up with a new offer, Now Paytm is offering flat Rs 100 cashback when you pay at McDonald through Paytm wallet. This offer is valid from 1st Feb 2019 00:01 hours and is valid up to 30th April 2019 23:59 hours. So follow below steps and avail this offer. Participation in this campaign starts from 1st Feb 2019 00:01 hours and is valid up to 30th April 2019 23:59 hours. How to Get Rs 100 Cashback When you Pay At Mcdonald? Now open and install Paytm app in your smartphone. Now Goto McDonald’s and Proceed. Then order some food and proceed. Add your delivery address and pay amount. Complete you Payment with Paytm wallet. 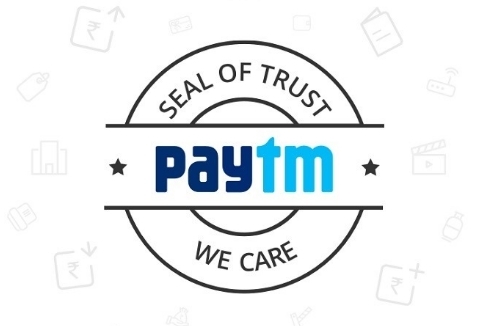 In this deal, you will get upto Rs.100 Cashback when you pay using Paytm. Maximum cashback amount is Rs.100 (Rs.25 on first transaction, Rs.25 on second transaction,Rs.50 on third transaction). Minimum transaction amount is Rs.100 to be eligible for cashback. Customer will need to activate the offer for becoming eligible to receive cashback. After making 1st payment at McDonald s, customer will receive Push notification to activate offer. Customer can also activate offer by going into my offers in Cashback section of Paytm App. Paytm Cash will be credited within 24 hours of the successful transaction. This is a limited period offer and Paytm reserves the right to withdraw it anytime without intimation.